Hopefully you are paying attention to this one more than once a year. If you are diligently planning a monthly budget this is probably a weekly ritual. However, because it’s easy to get caught up in the day-to-day budget numbers, we can lose sight of the bigger yearly picture. It’s a valuable exercise to accumulate all the numbers from your monthly budgets and calculate each individual spending category as a percentage of your yearly budget. You can use these calculations to plan for next year and adjust your spending based on your needs. Or maybe you need to examine the types of spending categories you have. Do they need to be more specific to give you better clarity? If you need help with that, here is a great budget template resource you can access for free. This is broad category that includes stock investments, retirement plans and housing values among other things. For investments, you will want to check on things like your mutual funds rate of return for the year. Also be aware of your funds expenses. How much did they eat into your return? Pay attention to management changes as a change in management could mean a change in philosophy or stock picking strategy for that particular fund. Also make sure to see if your portfolio positions have become too large. You may need to re-balance them to get back in line with your investment strategy. This is one I always overlook. It’s easy to get locked in to an insurance company because they just keep sending you the renewal forms. When I receive one in the mail, it’s easier to write a check to renew the policy than it is to research if something better is available in the market. Insurance policies and rates are always changing. New products and services are always coming on the market. The last time I shopped insurance, I found an option that allowed me to group all my insurances into one policy. The insurance company offered me more benefits at a lower cost because I bundled all my policies together. So review your auto, homeowners, and life insurance policies. Also be aware of updates to your health insurance premiums. And consider whether it’s that time of life to consider liability or disability insurance or an umbrella policy to serve as extra insurance in case you get sued. If you are over 60, you might also need to consider long-term care insurance. All these are questions that need your attention. I think most people avoid this one also because nobody likes to think about death, especially their own. Furthermore, the will is an out-of-sight-out-of-mind document. It’s not like the budget reports you see in Quicken or on your Excel spreadsheet each month. Typically, we put the will in the fire safe or safety deposit box at the bank and forget about it. Because it’s out of sight, we forget to update it when big life events happen (like that new baby who comes into the family). In your will, you will want to make sure the executor is still a person who can perform the legal duties associated with the estate. Also check on the individuals, charities or organizations that will be beneficiaries of your assets. Are they still people or institutions you’d be OK leaving some of your inheritance? If you have children, reevaluate who will be their long-term care providers. Also review if, how and when your children should receive any inheritance benefits. Finally, check the will for ambiguous details or surprises that might confuse your relatives or lead to conflict once you are gone. The clearer you can make the details now the better off your loved ones will be. Goals provide clarity and direction. Unfortunately, the ones we make are often too broad, fuzzy or generic. In the end, they really don’t help motivate us to change. Clear, realistic, and well-defined goals are a must for us to have success in life. As I see it, these are the five big personal finance items to evaluate at least once a year. You can either do them all at once at the end of the year or space them out by doing one area every 2 months or so. Either way, don’t let another year slip by without taking charge of your finances. Questions for Discussion: What other personal finance items do you review on a yearly basis? What’s the once you usually forget to look at? Why do you think so many people avoid making or reviewing their will? These are great tips, Brian! 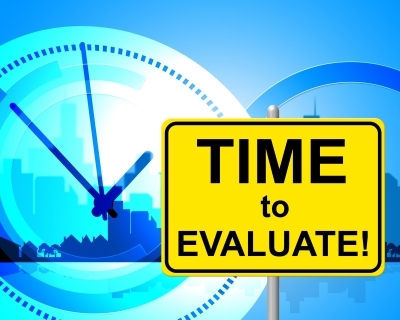 I agree that reviewing your policies should be done annually in order to be familiar with the recent changes, especially with long term care insurance. There were premiums hikes last year, which caused panic among policyholders. They shouldn’t panic because not all agencies imposed price hikes and if they did, companies provided different options like policy adjustments, so that you can keep your policy. Long term care insurance is still a beneficial insurance product especially now that more people will age and will require long term care. I agree on the long-term care insurance Timothy. I’ll be looking into that when I get a little older. I assess my spending habit almost everyday, Brian. I am glad that I have learned good spending habits because these have enabled me to save much more and get the value of my money. Excellent advice. Recently did an spending audit after a couple of years and was able to close up some holes that were eating up some money. Increased my monthly income easily! That’s awesome Syed! It’s what happens when you do one of these evaluations. Many people complain about not getting a raise or wishing they could make more money. Well, one easy way to do it is to check your spending habits. You almost always can find things to cut out. Great advice. I’ve seen it said that you should actually consider taking a full day off of work just to dedicate time to these types of items. Money Beagle recently posted…Now I Can Love Over 100 Libraries! I think that’s a great idea. It would probably take a day to do all of these in one shot. I also review my job and salary to see if I could earn more, or work less, or find a better opportunity. That’s a good point. Are you continually evaluating that or do you focus on it more at a specific time of year? Usually every few months, when the novelty of a job wears off or when I think of other possibilities. End of year is a good time because companies have a new budget to spend in January. Good post. We do many of these ourselves semi-annually, if not annually. We also review our budget (which you touched on in #1) annually. We look at how we did for the year and what changes need to be made, if any. We’ve been on a budget for about ten years now, so thankfully it’s a pretty streamlined process. Ours is pretty streamlined as well. I love compiling the budget data and comparing it year to year. Thanks for reading and commenting.